Probiotics may help children and adolescents who suffer from occasional constipation and abdominal discomfort. 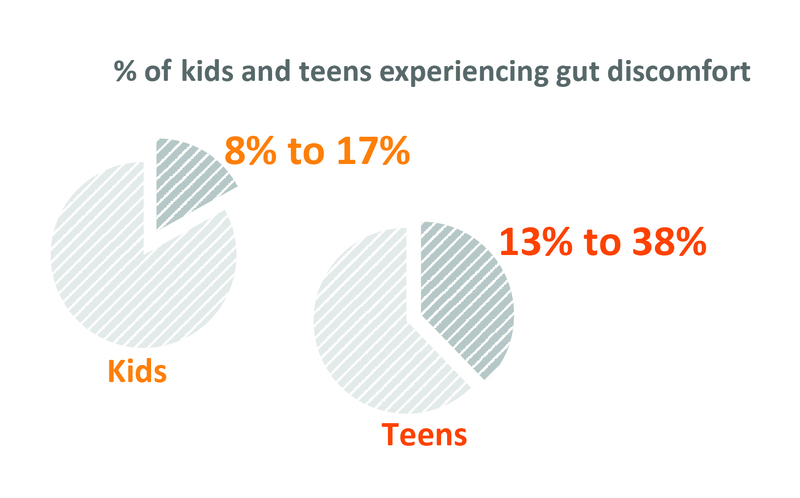 Gut health is a common concern in children and adolescents. Gut discomfort, such as occasional bloating, irregular transit and constipation, is very frequent in young populations and often represents a reason to visit the doctor. About 1 out of 3 children is seen by a doctor for abdominal discomfort by the time they are aged 15, however the majority has no serious health problems. • Occasional constipation has been described as the most common gut disturbance in young children, with reported prevalence between 1 percent and 30 percent.1 It is the major reason for 35 percent of visits to pediatric gastroenterologists.2 Most cases are temporary, and can often be linked to behavioral causes (early toilet training in the youngest) or dietary changes. • Occasional abdominal discomfort concerns 8 percent to 17 percent of children and 13 percent to 38 percent of adolescents, with higher prevalence in girls.3 Gut disturbances may be associated with a brain-gut axis disorder. It is linked with occasional discomfort in daily life, with possible impact on feeling healthy, sleeping behavior, stress and overall quality of life. It can impact school attendance and success, which in turns generates more stress. Most gut health issues can be linked to stress factors for the gut microbiota—dietary changes, stress, antibiotic, poor diet balance, etc.—that can affect the microbiota composition and balance. In children, the gut microbiota and immune systems are still maturing. Today, the role of probiotics in preserving and restoring the gut microbiota and reinforcing the body natural defenses is well documented. With their track record of safety, biological image and lack of side effects, probiotics are particularly well suited for children’s gut health management. The probiotic strain Bifidobacterium animalis ssp. lactis (as LAFTI® B94, from Lallemand) has been thoroughly characterized and selected for in vitro and in vivo documentation of its modes of action and its effective synergy with prebiotics. The Canadian Health Authorities have recently recognized its beneficial usage for occasional constipation and bloating in children and teens, as supported by a recent randomized clinical study.4 The study was conducted in children and adolescents, between 4 and 16 years old. 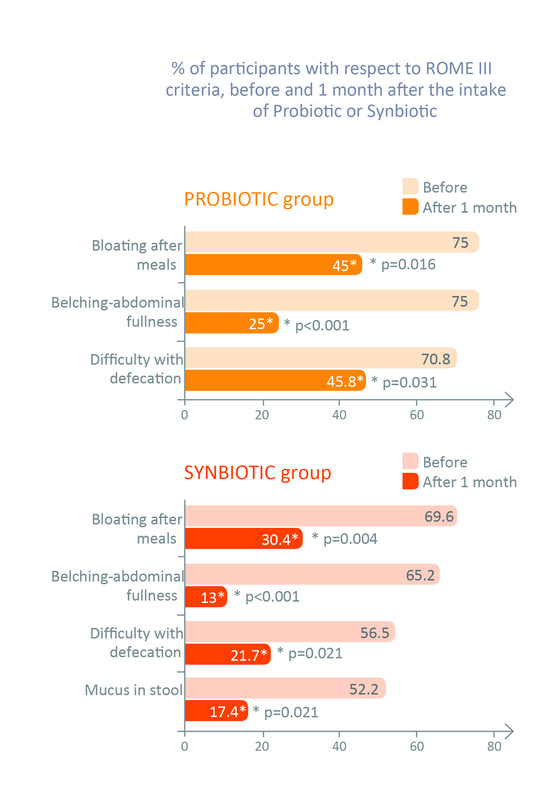 It showed daily supplementation with B. lactis LAFTI® B94 significantly improved bloating, belching–abdominal fullness and occasional constipation in a majority of subjects without reported side-effects. Morgane Maillard is the product manager for Lallemand Health Solutions. Lallemand is presenting a session, “B. lactis LAFTI® B94: The Probiotic Strain for Hearty Kids and Teens,” on Thursday, Nov. 8, as part of the IPA Probiotics Resource Center at SupplySide West. 1. Van den Berg MM, Benninga MA, Di Lorenzo C. “Epidemiology of childhood constipation: a systematic review.” Am J Gastroenterol. 2006 Oct;101(10):2401-9. 2. Borowitz SM et al. “Treatment of childhood constipation by primary care physicians: efficacy and predictors of outcome.” Pediatrics. 2005 Apr;115(4):873-7.